What is the reality behind IoT big data applications? In this podcast lesson, ICIP instructor Bruce Sinclair outlines the benefits of IoT and big data analytics, exploring how they affect digital twins, the types of analytics available and more. The true value of the internet of things isn't in the devices themselves, but rather the transformation of device data into useful insights. Enter IoT and big data analytics. Analytics has been used long before IoT came along, but one of the biggest differences between analytics of yesteryear and analytics in IoT is the sheer size of the databases. These databases are often time-series based, so by nature, this is big data. Think of a sensor transmitting data -- whether it's once a second, once a minute or once an hour, it adds up to a lot of data. So, where exactly is IoT and big data analytics? Analytics can be computed anywhere on the network fabric -- from on the embedded system, in the fog -- i.e., gateways in the OT network or IT devices, such as firewalls and switches, in the IT network -- or on big servers in the IoT cloud. 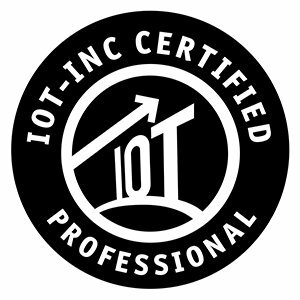 In this excerpt from the IoT-Inc. Certified IoT Professional (ICIP) training program, instructor Bruce Sinclair discusses the ins and outs of IoT and big data analytics, focusing on its relationship with the digital twin, which is instrumental in building the analytics model that simplifies data sets collected by IoT devices. Tune in now to learn more about the relationship between IoT big data analytics and digital twins in a connected deployment, as well as why classifying analytics by past, present and future -- or descriptive and diagnostic analytics; rules engines and stream processing; and predictive and prescriptive analytics -- offers a useful set of questions for an enterprise. Where does your organization use IoT and big data analytics? Thanks for sharing this valuable information Bruce. IoT and Big Data are buzzing the technology world for quite a time now, and these are no longer a “nice to have” technology but a necessity. There is a drive to adopt big data within organizations which has triggered the use of big data analysis tremendously in the past few years. Hence, businesses are also rapidly catching on to what they need for it.